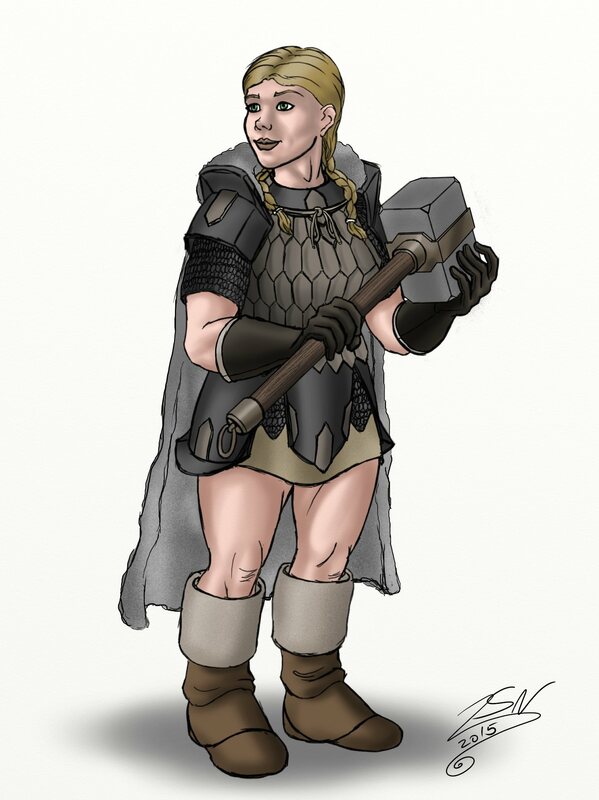 So… Dwarf women. I mentioned before that the best fantasy race are the Dwarves. As such, they also tend to be a common subject of the video games I play and the drawings I create. I also really like women, and by women I do mean women of all races. The buffer the better. The subject of Dwarf women is a divisive one. Though never explicitly stated by Tolkien, bits of dialog from the Lord of the Rings books lead many to believe that Dwarf females also grow beards. Personally I prefer the beardless look. 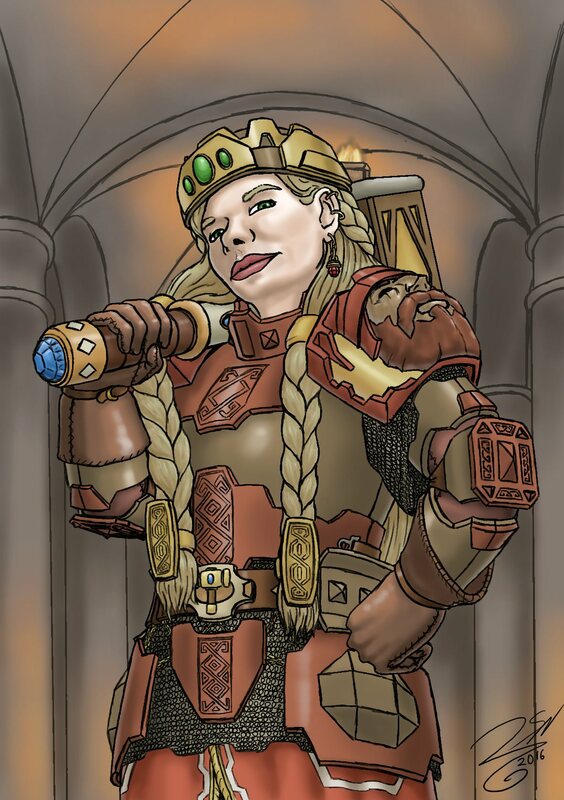 I went back thought my library of drawings and looked up all the good drawings of lady Dwarves I made over the years for your viewing pleasure. Rather than linking the DeviantArt posts one by one, I’ll just leave the link to my gallery instead. I’m feeling lazy today. 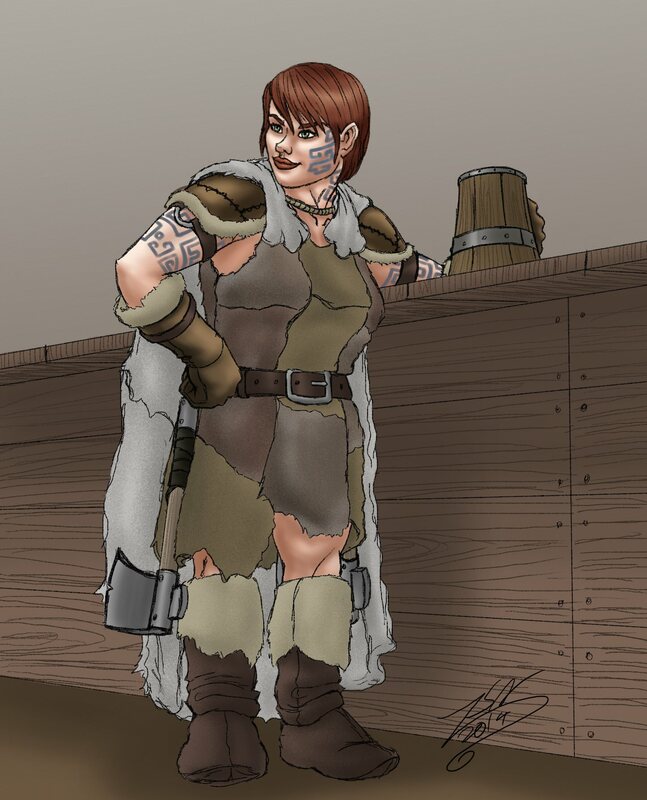 So as we all know, Dwarves are the BEST fantasy race that exist. There are some who disagree with this. Those people are wrong. I have an entire folder filled with drawings of NPCs (non-player characters) that were to take place in DnD campaigns. The group I played with did not stay together long enough for most of them to get their moments, but the fun of world creation remained long after the game had practically stopped. Had the party ever gotten that far they would have discovered that the Dwarven lands had a great queen. She was stubborn, rude, pig-headed and had terrible table manners. In other words: she was a dwarf. 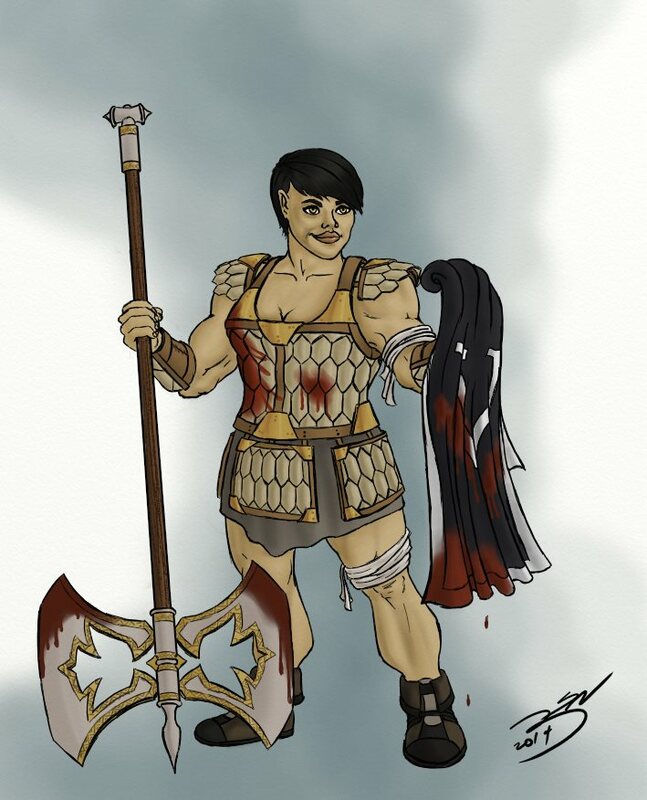 Also, as you can clearly see, I take the side of “female Dwarves do NOT have beards”. Original post on DeviantArt here.